Billed as “Unit Testing, but for Performance”, k6 is built in Go and offers Docker and CLI based tools for HTTP testing. A thorough walkthrough of using Terraform to (relatively) easily set up a complete, load balanced multi-server system on EC2. A 27 minute talk packed with tips and best practices for building Dockerized apps from a developer’s point of view. There’s a similar Docker for Ops talk too. 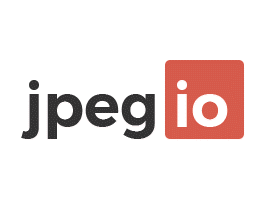 Jpeg.io is a free online service for rapidly converting your images into highly optimized JPEGs using proprietery JPEG optimization algorithms. Optimize all your images in one go and greatly speed-up your websites and applications. A patchset enables seamless reloads of HAProxy without dropping packets in the process. A conceptual and very accessible guide to hosting, scaling and load balancing an app with AWS EC2 Container Service (ECS) and Docker. Some clever rigging up of WAL-E, S3, and EC2 for backing up a Postgres database and then testing that it restores correctly every day. Potentially useful for local development where SSL support is required (e.g. ServiceWorker development). The private key is included for signing. There are a lot of things to consider. This post also led to some discussion on Hacker News. Go international as the VP of Engineering (RoR, Node.js) at Honestbee. Join the team and get paid relocation, local residency, etc. A look at Google’s delay-controlled TCP flow control algorithm, called BBR. The example uses the last octets of an IPv6 address to specify the correct database. Seems a bit extreme but it’s not too difficult. Extremely low temperature computing is the next frontier for datacenters, it seems. How Uber uses Locality Sensitive Hashing on Apache Spark to detect fraudulent trips at scale. How GitHub has revamped its DNS workflow. A look at what DevOps and site reliability engineers are thinking. See how Rollbar pairs perfectly with New Relic to give you greater coverage + much more insight into application errors.